WESTPORT — A Staples High School junior has taken it upon himself to raise money for the millions of Syrians displaced from the conflict that has been raging for six years. Sixteen-year-old Kion Bruno, who is of Iranian descent and has a lot of family living in Iran, has been dismayed by the way Iranians are depicted and wanted to do something to combat xenophobia. “Iranians are portrayed so badly by the media, and that’s part of what made me do this,” Bruno said. At the start of the school year, he organized a club at school, Building Bridges. Its first speaker was a man named Mohammed, the father of a Syrian refugee family resettled in Norwalk with the help of the Westport community. Mohammed’s story touched Bruno, who decided to help in any way he could. “After hearing that talk about his experiences in Syria, about how his village was completely killed, his family and his friends — It’s just so bad and I wanted to do whatever I could to help, so I thought a fundraiser would be a good way to start,” Bruno said. The Support for Syrian Refugees fundraiser starts at 3 p.m. on Saturday in the Staples auditorium. 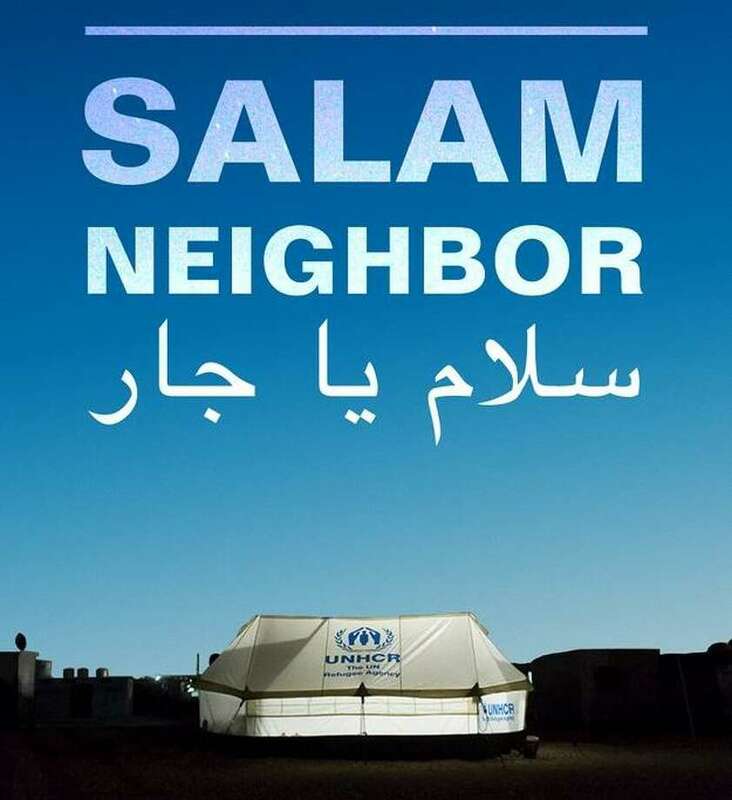 As part of the event, Bruno will screen “Salam Neighbor,” a documentary co-directed by Chris Temple, a Fairfield native and graduate of Greens Farms Academy in Westport. Temple, along with co-director Zach Ingrasci, were the first filmmakers to be granted access by the United Nations to a Syrian refugee camp in Jordan. Following the movie, there will be a panel discussion. U.S. Rep. Jim Himes, D-Conn., and First Selectman Jim Marpe, along with Westport-sponsored refugees, will be in attendance. Donations are suggested at $10 and will go to the International Institute of Connecticut and Nu Day Syria, organizations dedicated to helping Syrian refugees. “I’m super excited. I want this to work. I think it will be a great event,” Bruno said.